A powerful spiritual tool from Rabbi Nivin about how to get the most out of this Elul. Last year I took Rabbi Nivin’s Elul chabura, at the encouragement of your website. It was wonderful. 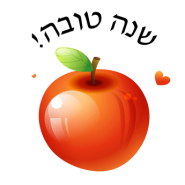 I had intended on making an Elul plan again this year, but haven’t gotten around to it… yet…. Thank you for talking about it, and prodding me on to do it. May you have many zchuyot for all your inspiration to us JewishMOMS. it’s not too late to do it, bhatslacha!